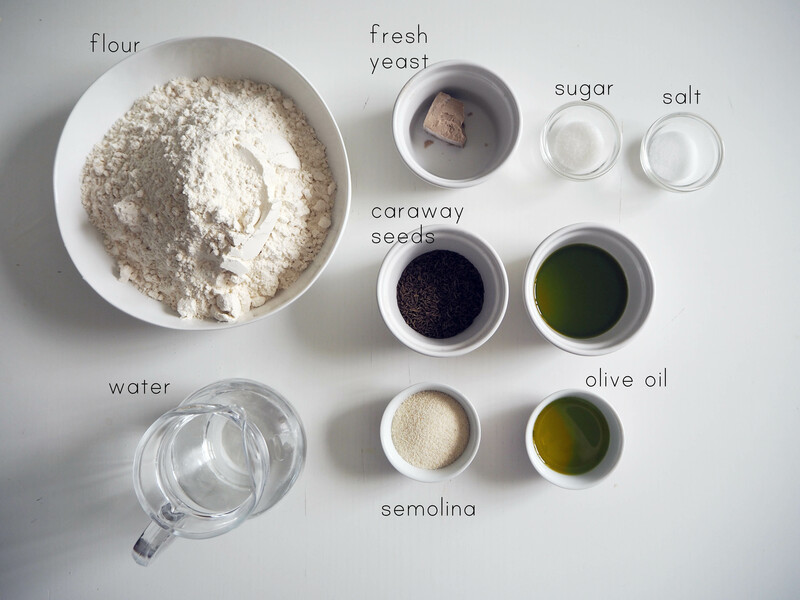 I love caraway seeds. 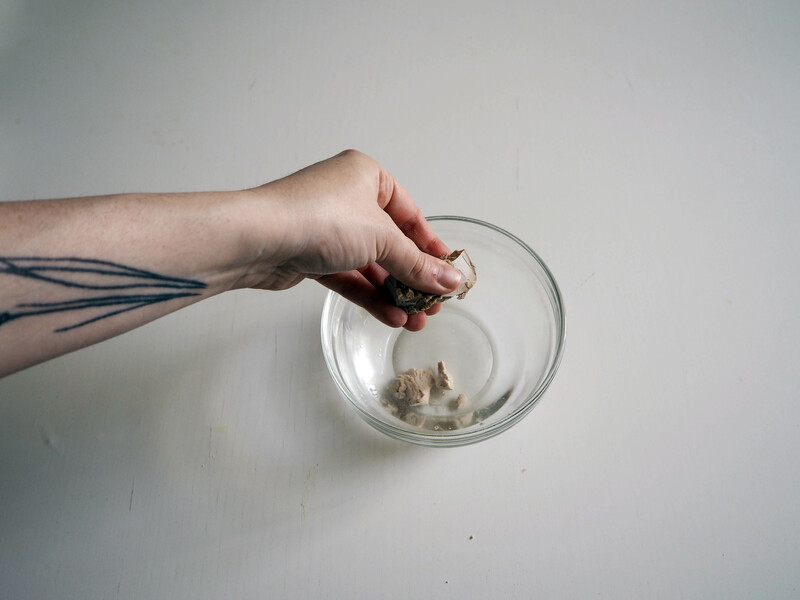 They bring depth into whatever dish they are put in. They go great with baked goods, with soup dishes, with vegetables, with everything! 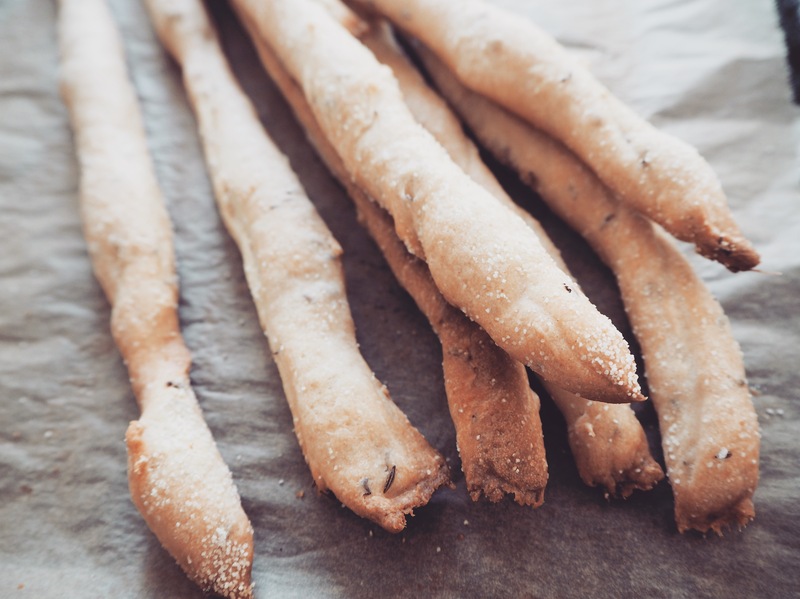 I also loved breadsticks, especially ones like these because they are full of olive oil. I mean ok, I am not a vegan myself and I love butter but let’s face it, if you want light and delicious, olive oil is your guy (that’s, strictly my opinion though..). 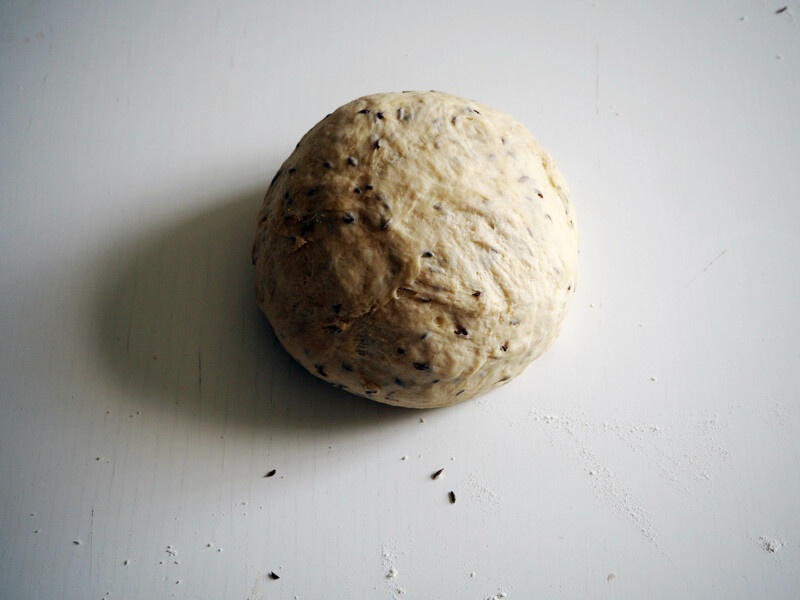 The dough for this recipe is very easy to make, but you just need to knead it, by hand or by a standing mixer, for about 5-8 minutes to get a nice, flexible dough which has a lot of gluten in it. 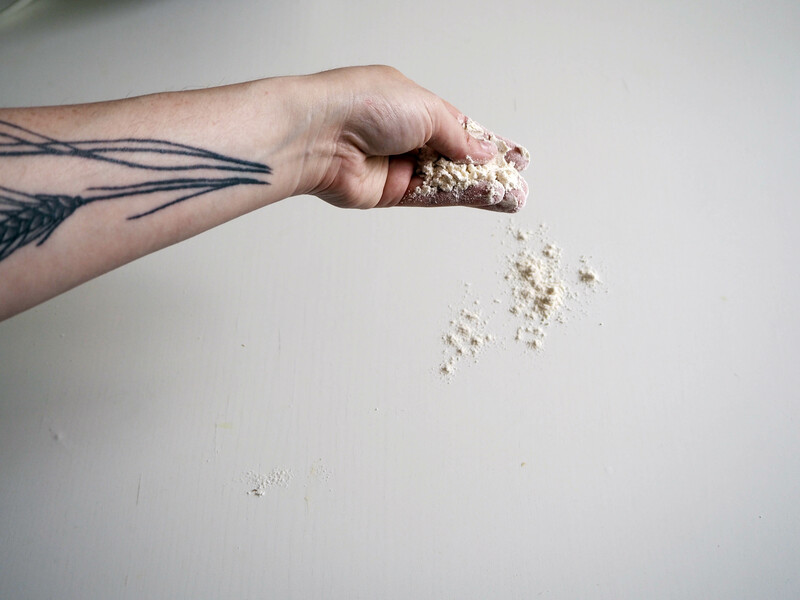 It’s also a very generous dough, meaning you get a lot of breadsticks from just one portion. 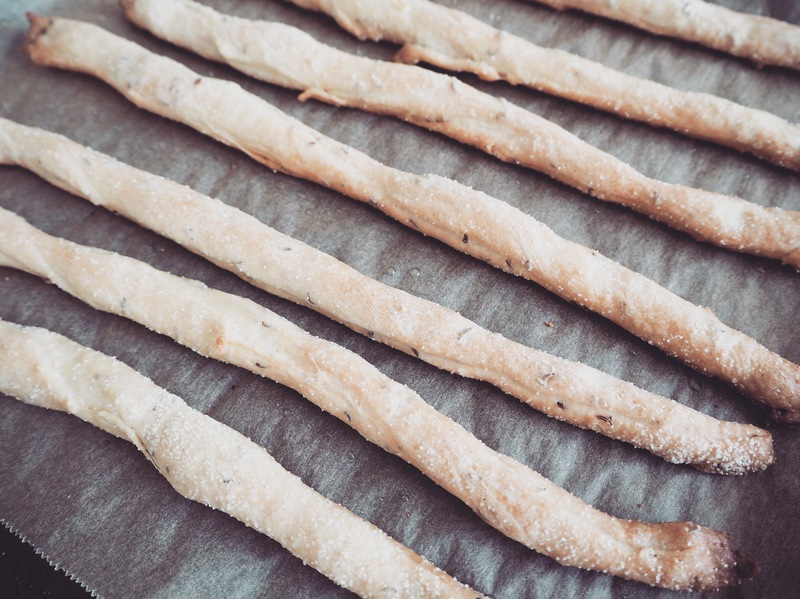 These breadsticks remind me of grissini that we used to buy from a bakery in Bakirkoy, in Istanbul, throughout my childhood years. The last I checked, in 2015, the bakery was still there, though I didn’t see many of their old baked goods. In any case, they remind me of my childhood and 5 o’clock tea time with family. 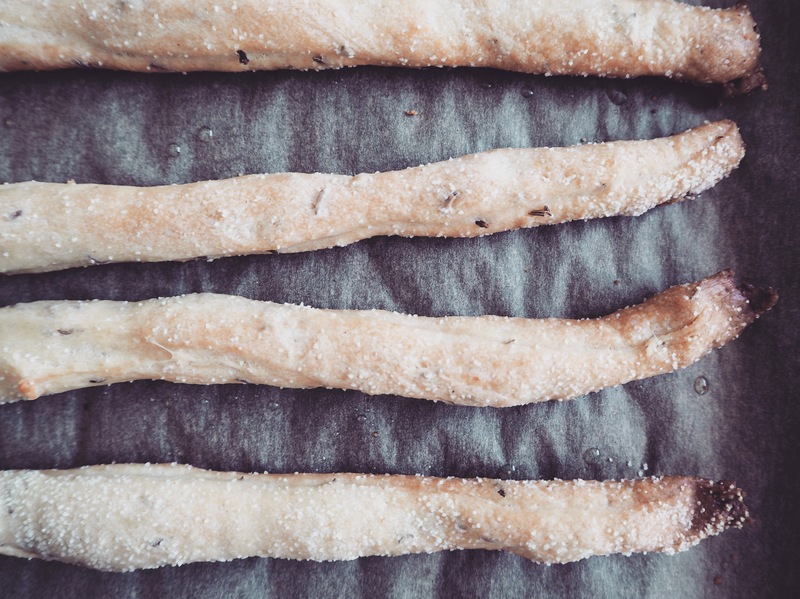 Hope you enjoy these breadsticks with some tea and most importantly, with your family too. 1. 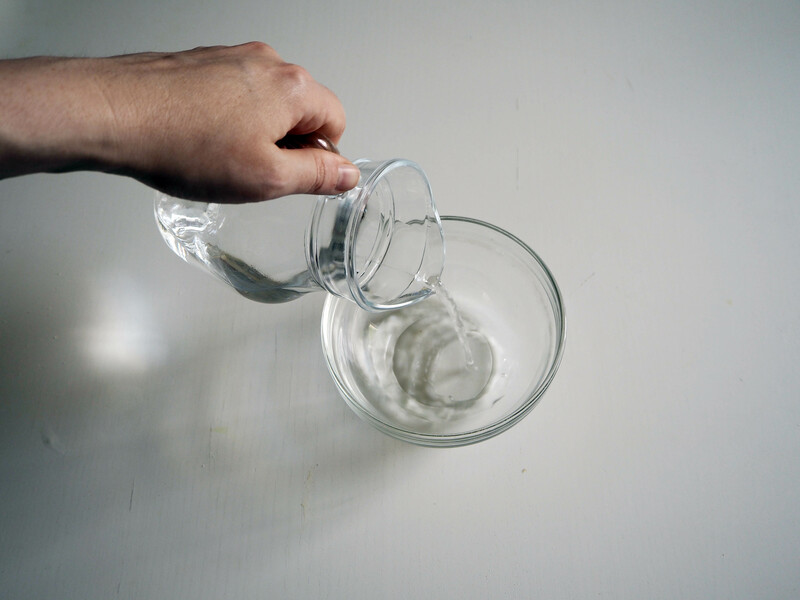 Pour some of the water into a bowl. 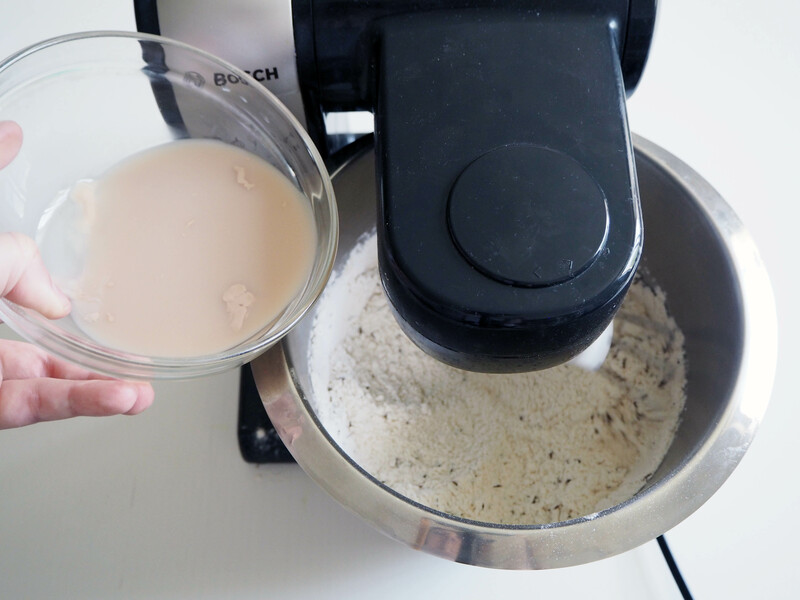 Crumble fresh yeast into the water. 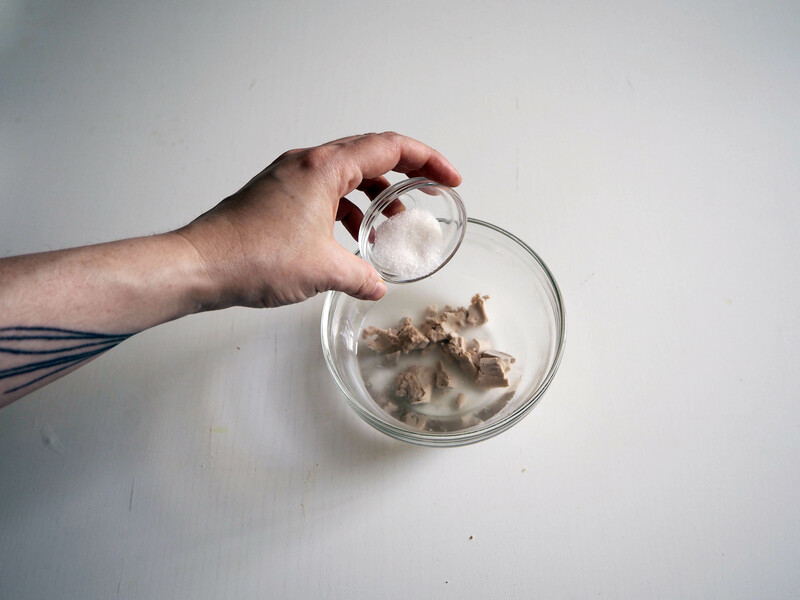 Add sugar / syrup and mix with a spoon. Put aside. 2. 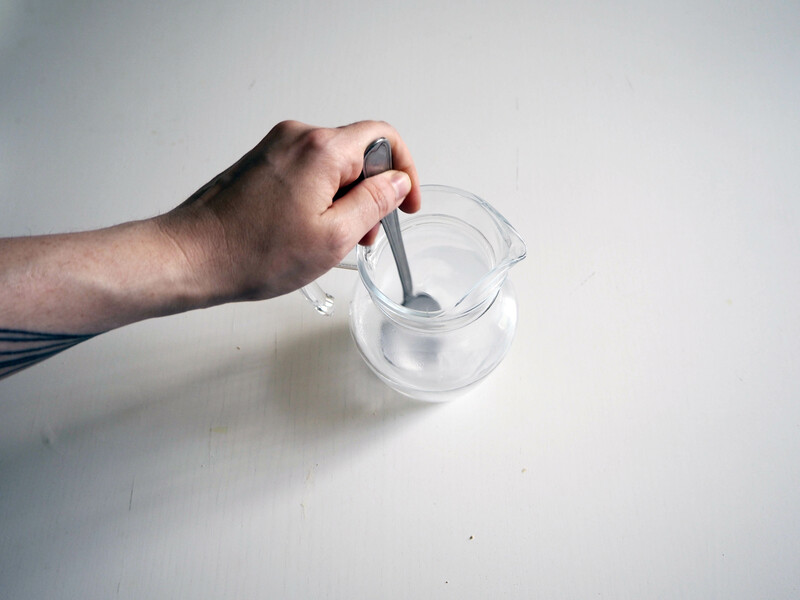 Put salt in the rest of the water and dissolve it. 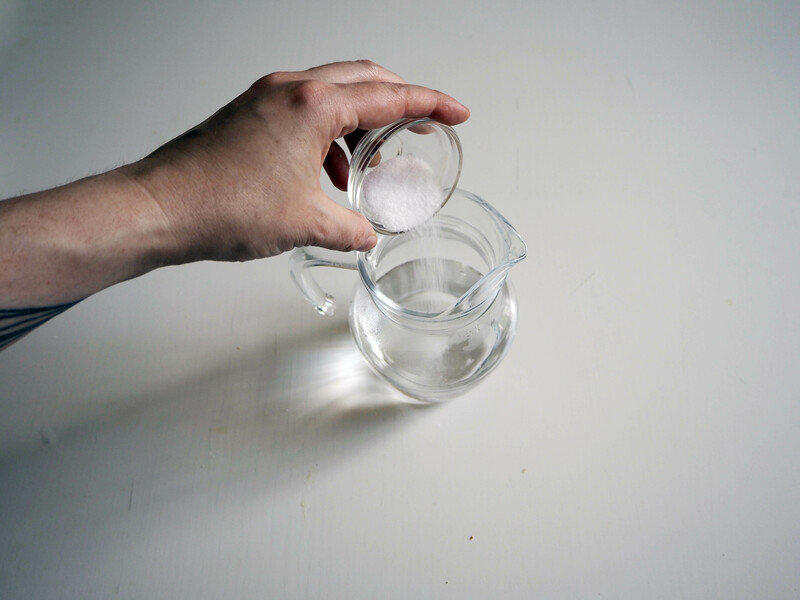 Pour olive oil (1/2 dl) into the salted water (forgot to put the photo of this phase). 3. 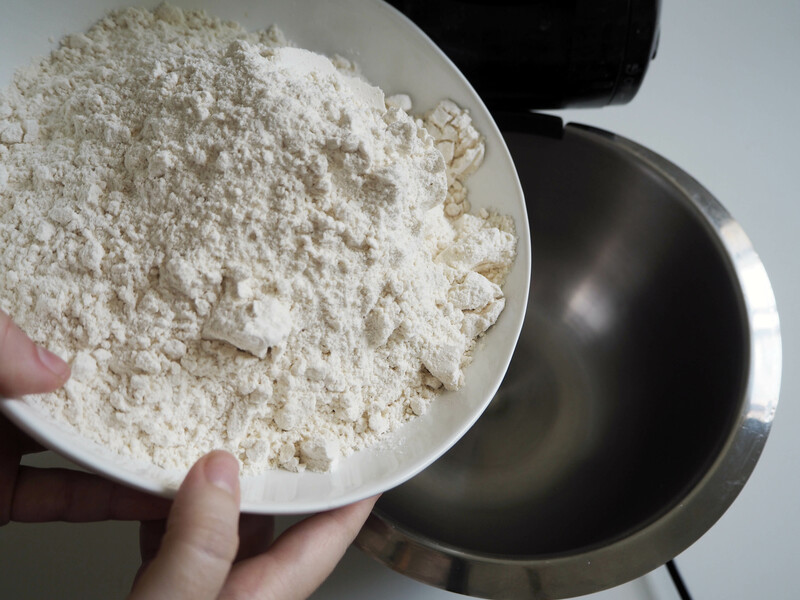 In a mixing bowl, put flour and start to mix. 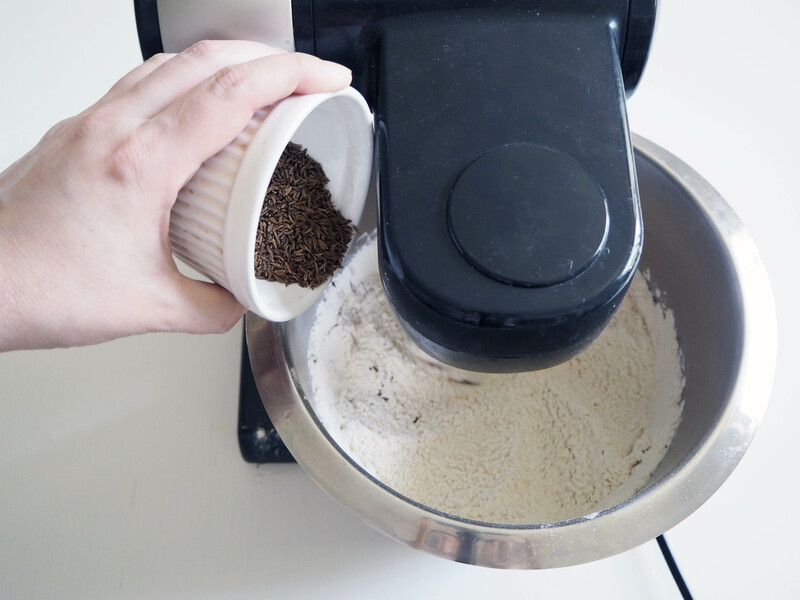 Add caraway seeds and continue mixing it with flour. 4. 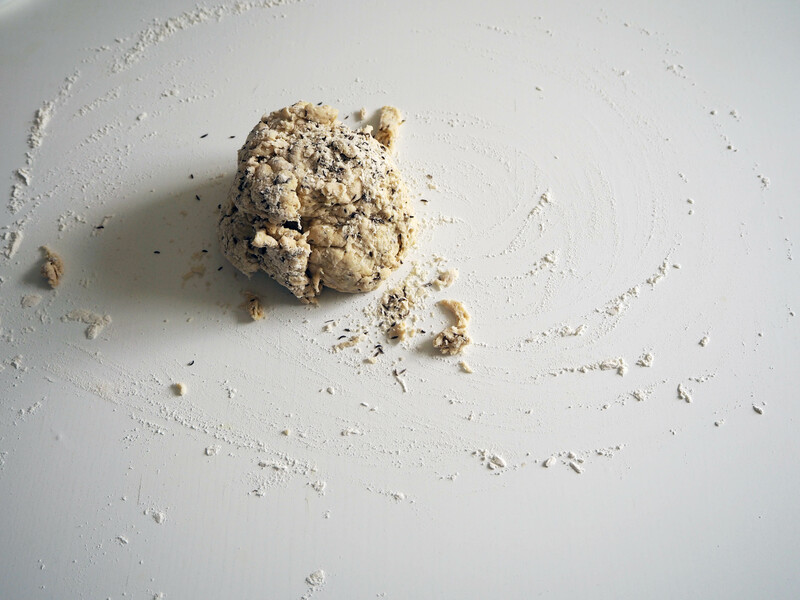 Add yeasted water and salty water with olive oil to the flour – caraway seeds mixture and continue mixing until the dough starts to come along. 5. 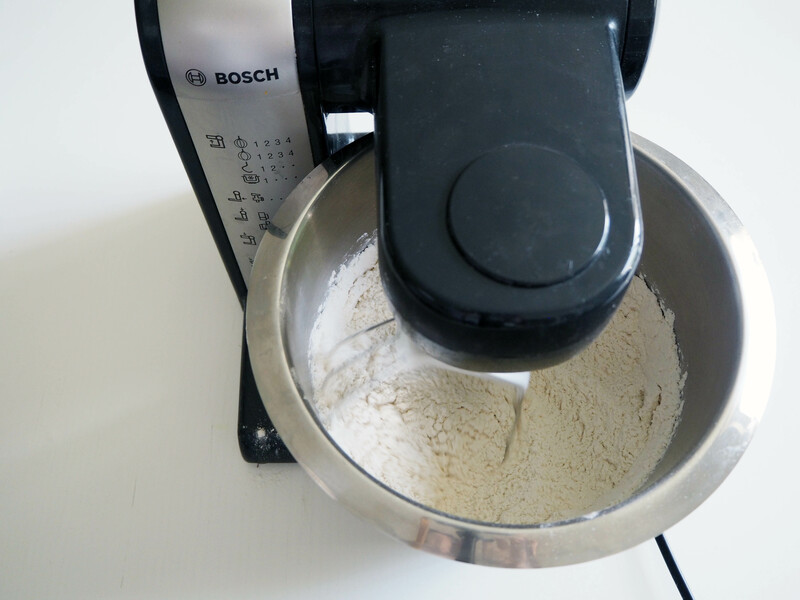 Lightly flour your working surface. 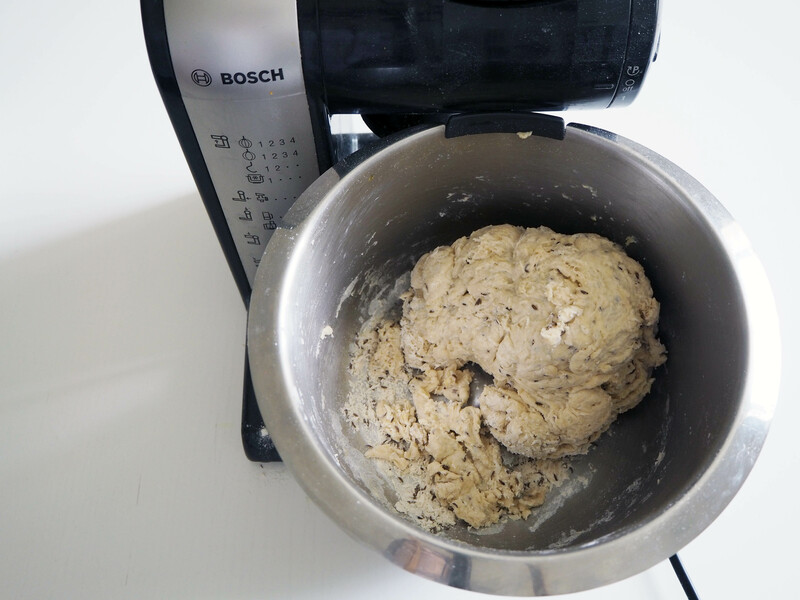 Put the dough and little bits inside the mixing bowl and start kneading. 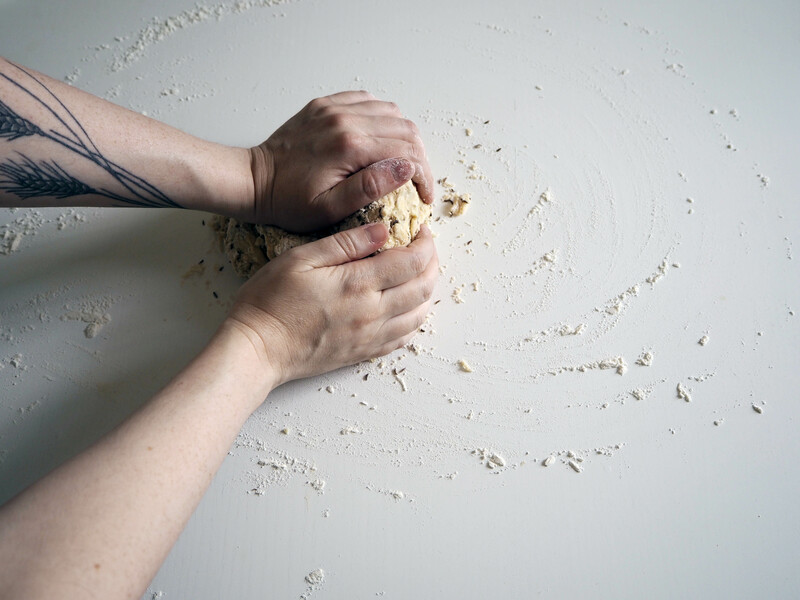 Knead, for about 5 to 8 minutes until you have a soft, flexible dough. 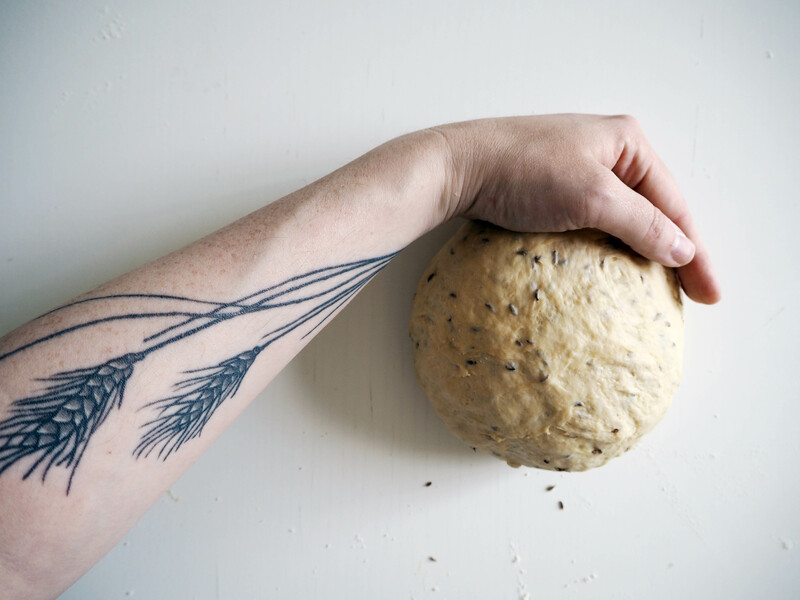 Love your cute little dough and pose with it. 6. 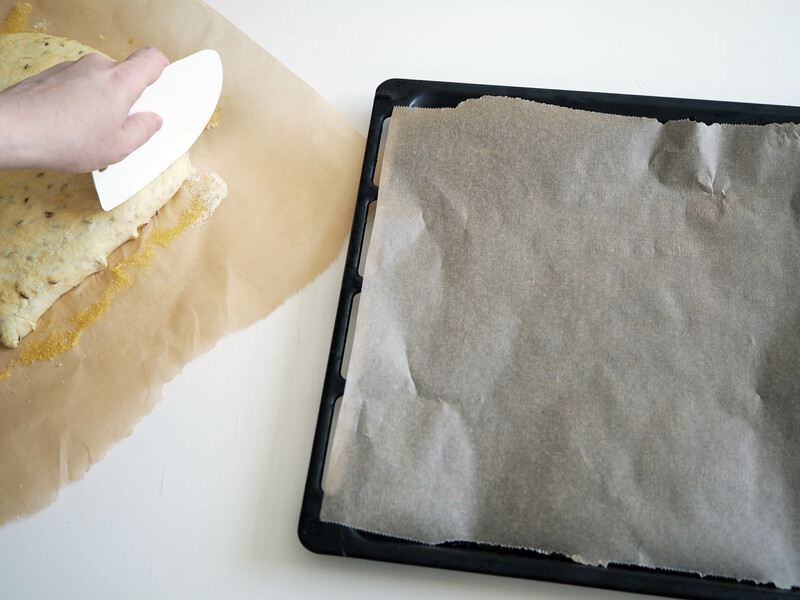 Put a baking paper on an oven tray. 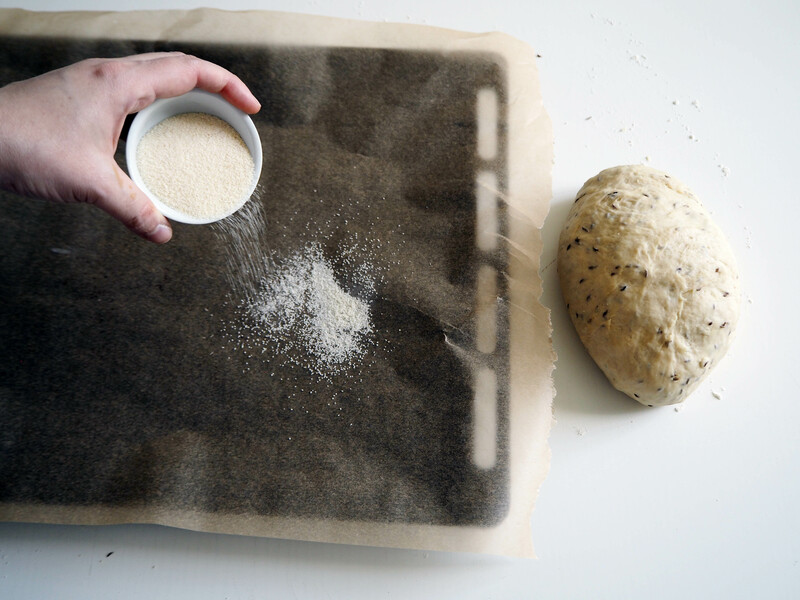 Spread some semolina on the paper. 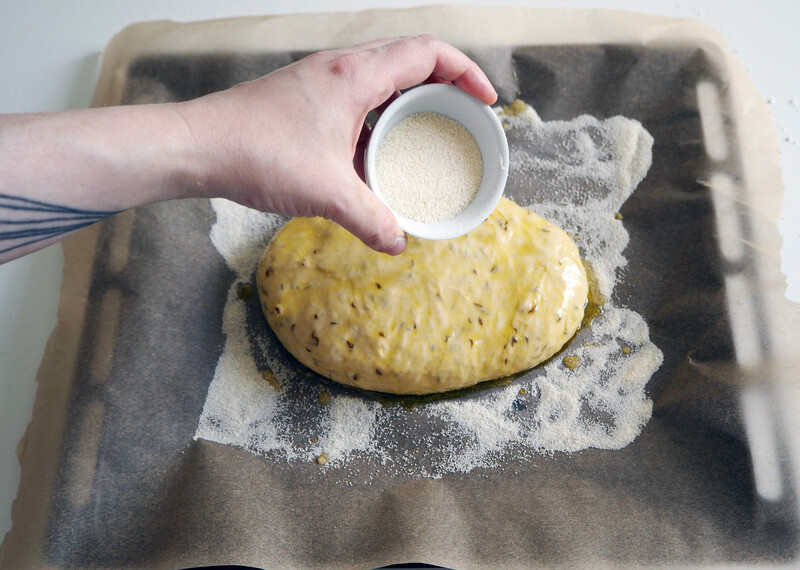 Put the dough on semolina and flatten the dough as much as possible. 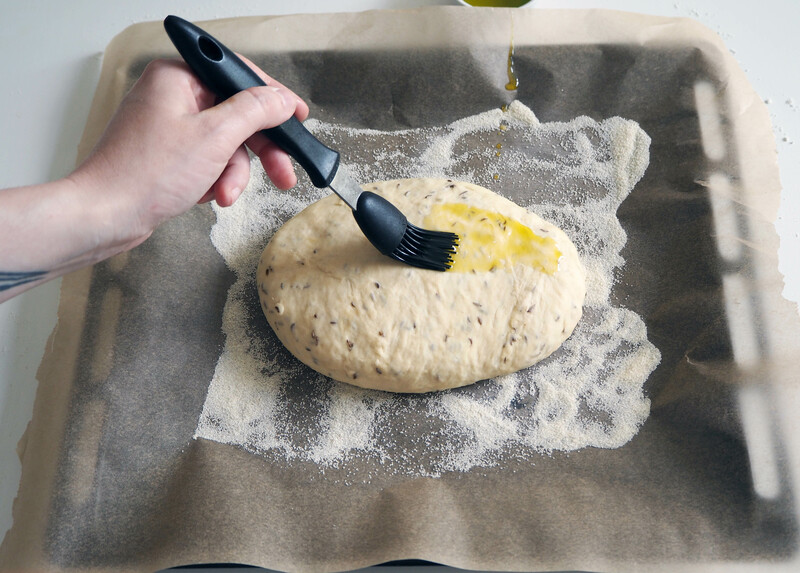 Brush the dough surface generously with olive oil. 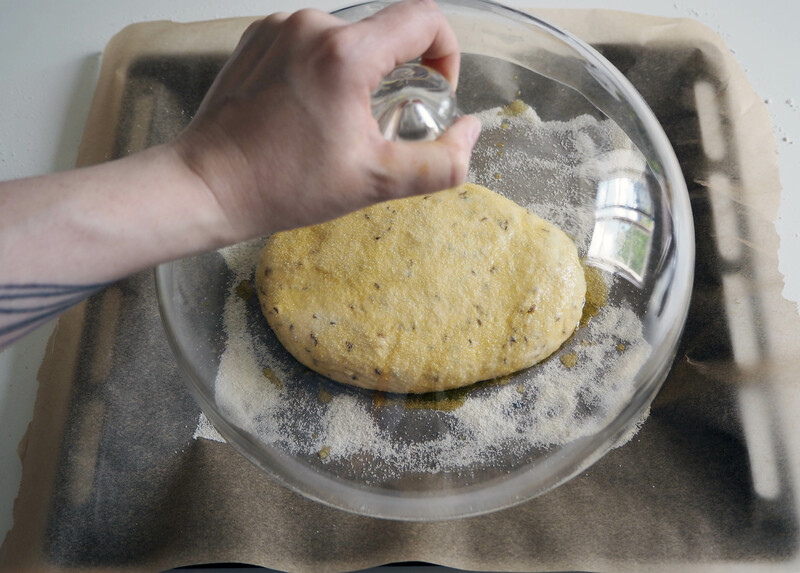 Spread more semolina on the dough and cover it with something big enough while it’s rising. 8. 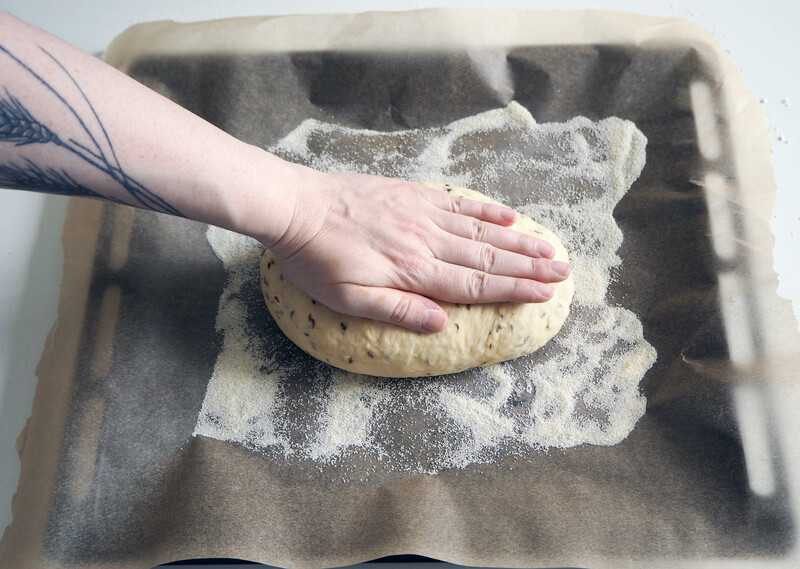 When the dough has risen enough (doubled in size), cut strips from dough (1-1.5 cm thick), stretch the pieces a little and twist it a little here are there for extra crunchiness and put piece by piece on a new oven tray with baking paper. 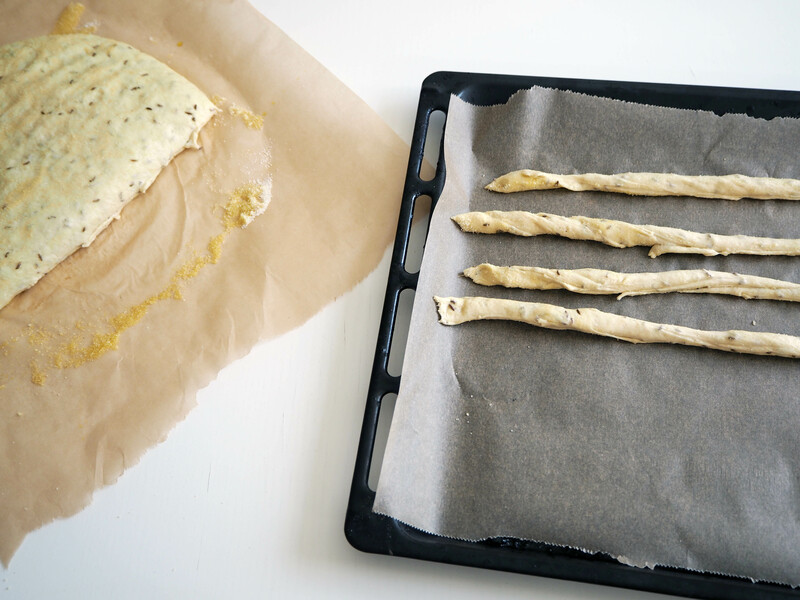 Brush each lightly with olive oil. 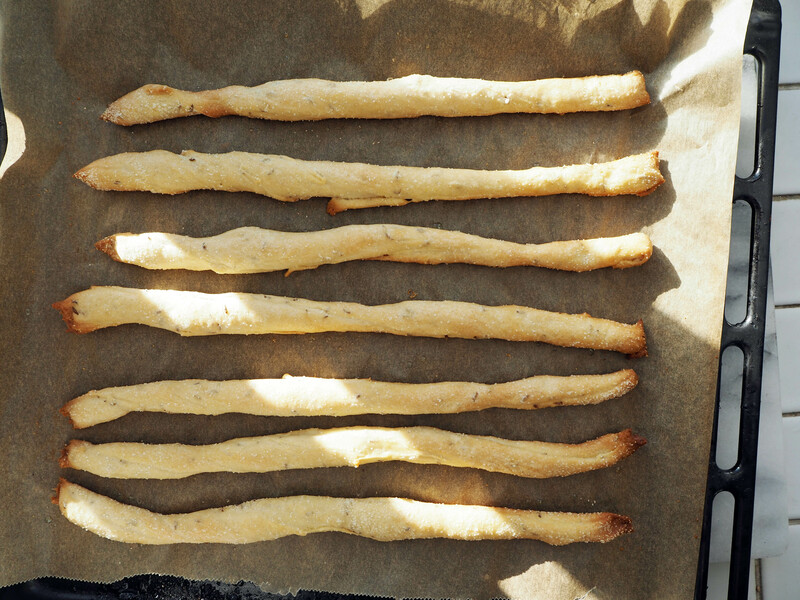 I made them all in 3 batches, my breadsticks were about 28 cm each because of the size of the oven trays. 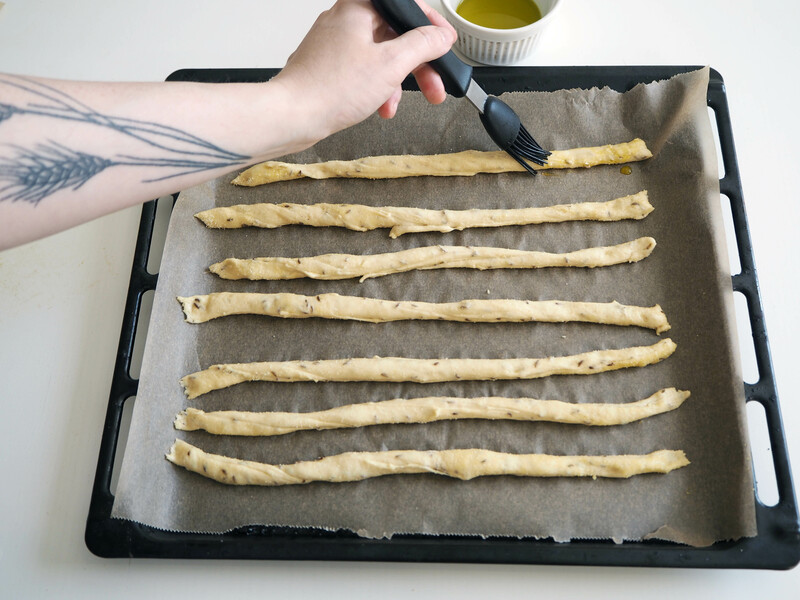 If you have a bigger oven, your breadsticks may be longer (alternatively, smaller oven –> smaller sticks). 9. 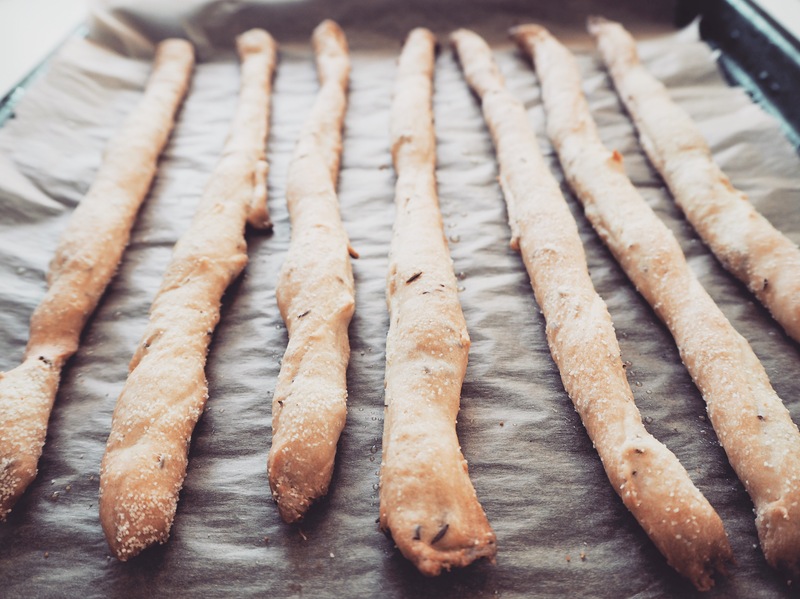 Bake each batch of breadsticks on the top rack of the oven for 18-20 minutes, until they are slightly browned and crunchy enough. 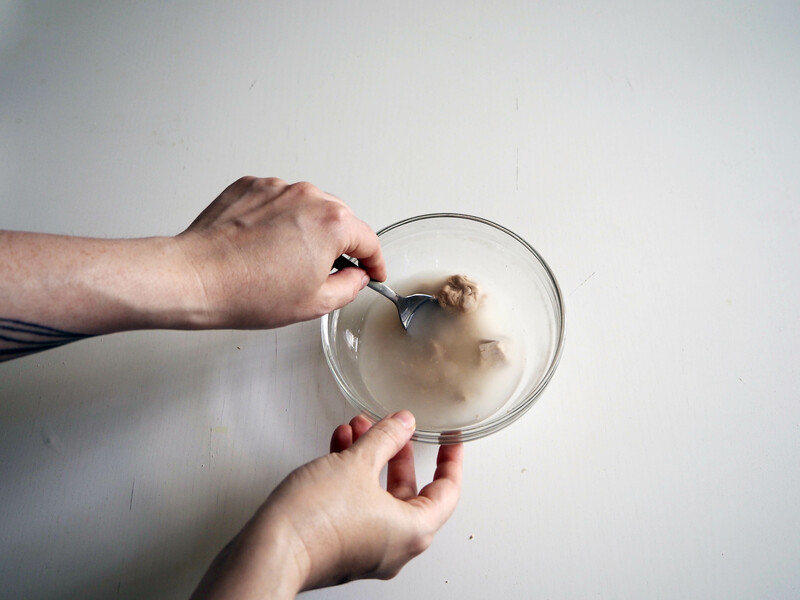 Cool them to room temperature before eating. The breadsticks taste great on their own but they are also good with cheese (if you are not vegan), hummus, dips etc. Enjoy! Great to hear it! Bon appetit! Next PostRosemary Lemon Cookies – Smells So Fresh!